If you need another reminder that Valentine’s Day is coming up, here it is. You only have a few more days and I bet you haven’t thought about what to cook for your honey? It’s ok, I’m usually late with these kinds of things, too 🙂 . 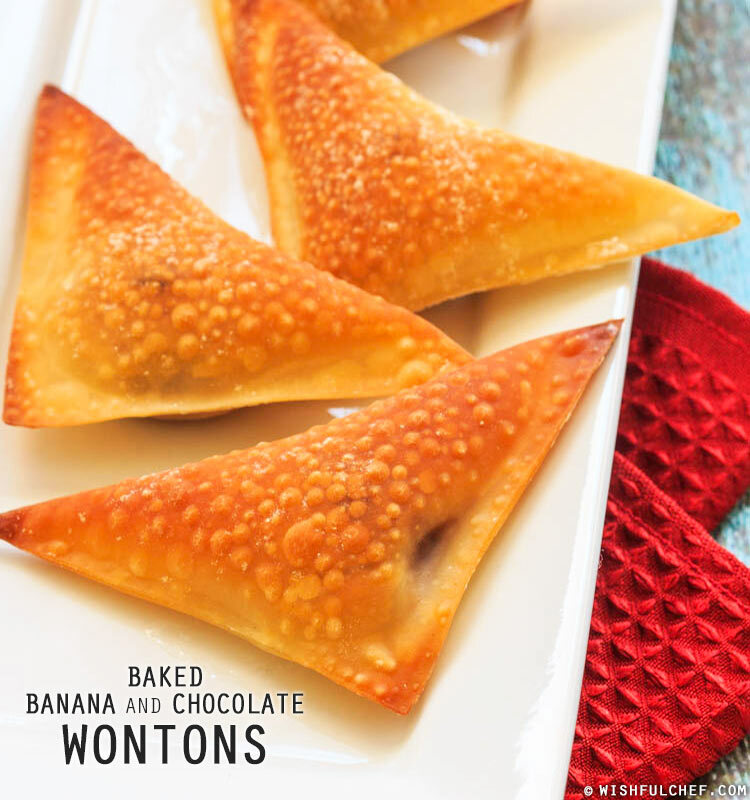 In any case, my banana wontons are your perfect last minute solution: Healthy (no deep frying here), crispy and super quick to prepare with only 3 ingredients. 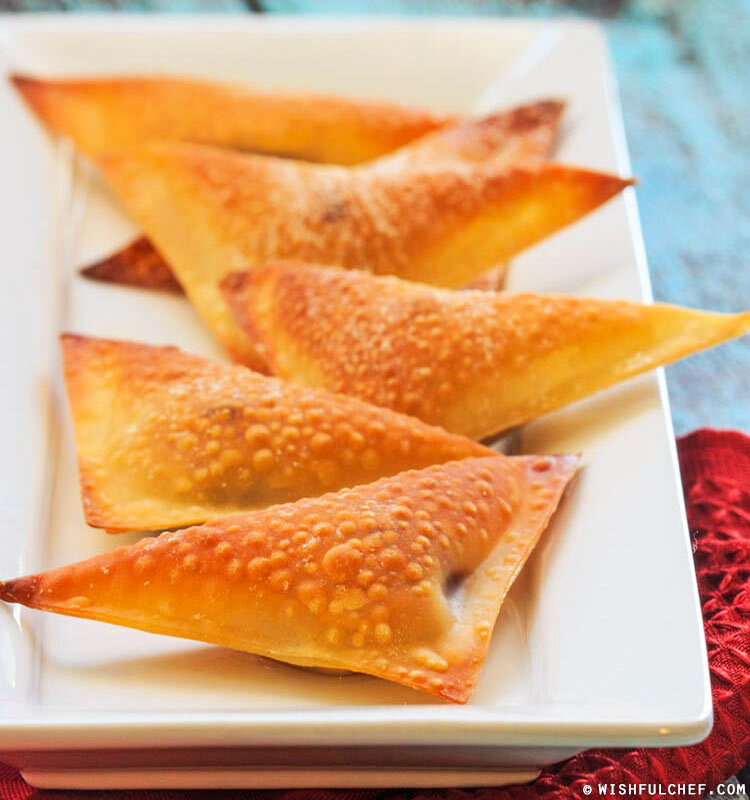 This recipe is like a mini version of my Filipino Turon but baked in the oven, not fried. For natural sweetness, I used very ripe bananas but if yours aren’t that ripe just add a bit of honey or sugar. Slice banana into rounds. 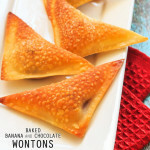 Place 1-2 banana slices and about 2-3 chocolate chips just below the center of each wonton wrapper. With your finger, brush some water around wrapper edges, fold down into a triangle and press edges together to seal. Spray or brush both sides of the finished wontons with coconut oil and place on a baking sheet. 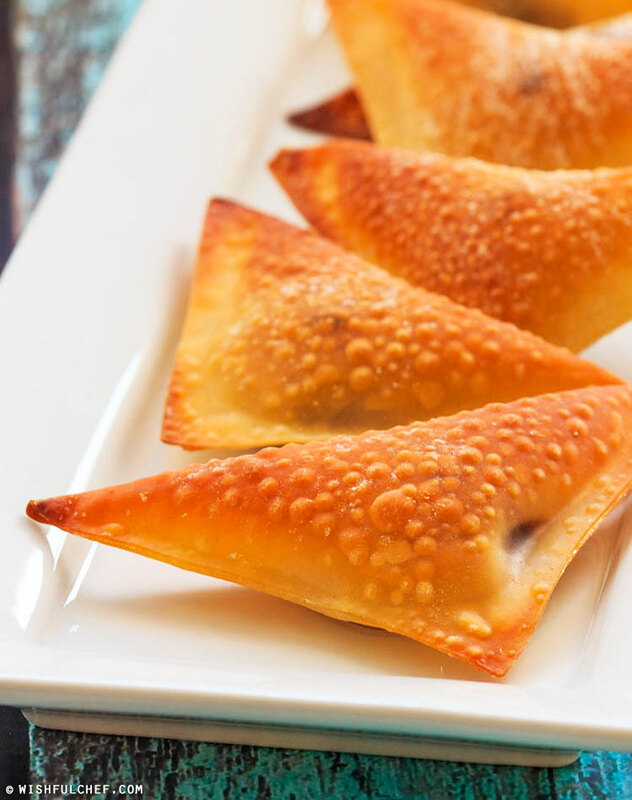 Bake wontons for 8-10 minutes, until golden brown and crisp. I am a regular reader of your blog. Thank you so much for sharing your wonderful recipes. I really appreciate you demonstrate each step with picture. It makes it so much easier for beginners. Hi Sarah – Thanks so much for your nice comment 🙂 I’m really happy the step-by-step images are helpful to you and thank you for following my blog, it means a lot to me!